The sights, sounds and smells of your favorite team’s baseball park are unforgettable! As Houstonians, we are blessed to have such a standout park to cater to our beloved home team, the Astros. 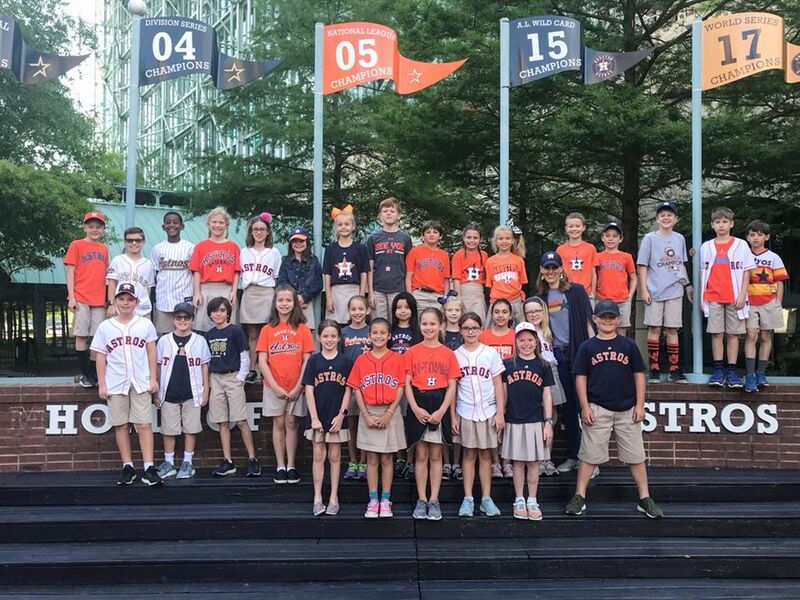 After an incredible season finished with a World Series win, students from Second Baptist School had the opportunity to tour the amazing Minute Maid park on their recent field trip. Students in third grade study architecture and buildings, so this trip was an extension of their learning in that area. In preparation for the trip, the students made bridges in Enrichment class using a computer app to simulate an architect building a bridge. They were able to see and compare how their bridges would work inside Minute Maid park. Students were given a tour and were able to see beams and structures similar to what they have studied in the classroom. They walked the park to learn about the size, viewed the press rooms and other areas in the building and even got to walk on the field. Students at SBS have ongoing opportunities to put into practice the things learned in the classroom. Creating life experiences and establishing fond memories go hand in hand with classroom learning. For that, we are thankful. Click here to view photos from the field trip.